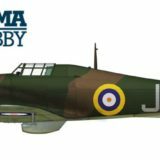 Home » Posts tagged "Expert set"
Wojciech Sokołowski from Koszalin’s Modelling Platoon (Koszaliński Pluton Modelarski) has built Hurricane Mk I Expert Set model kit in the Josef Frantisek colours. Built “out of the box kit” with exception of Yahu control panel was painted with camouflage masks cut from template available on our website. See and comment photos of the kit. 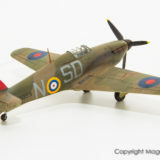 Photos of the first diorama with Hurricane have been posted in our gallery. 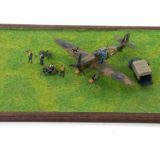 Willem Dierijck from the Netherlands has built model from Expert set and placed it on the diorama of Battle of Britain dispersal. 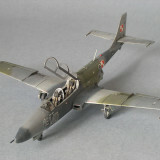 Aeroplane is accompanied by vehivles and personnel figurines from various manufacturer. See photos and read notes on assembly and kits used! Another one Hurricane Expert Set model built photos were post in our gallery. Magnus Fridsell from Stockholm buitl the model and painted using self made templates. Check how it came out! 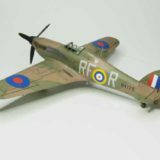 It is a greart pleasure to publish photos of first built Hawker Hurricane Mk I model kit from Arma Hobby. Quick built before Christmas was a kit from Expert set by Czech modeller Petr Komínek. 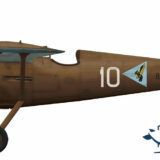 It would not be surprise that Petr has choosen markings of the 303 Squadron Czech ACE Josef František. See photos of finished kit.! 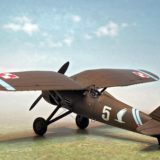 In the Arma Hobby model gallery, we present today the model built Marcin Strembski – PZL P.11c Expert Set. The model was made out of the box with small modifications and painted with Hataka and Bilmodel lacquers. See the model photos! 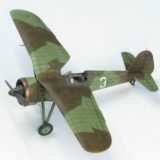 Model of the PZL P.7a in colours of the 123 Eskadra Myśliwska (123 Fighter Squadron). Kit was built out of the box and painted with Hataka Hobby lacquers. Christmas are coming and in Arma Hobby preparations have started. It is a good time to reveal some possible gifts. Let’s see what Santa Claus is hiding in his bag now! 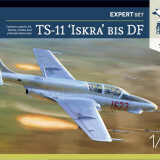 Bartek Stawski has built almost out of the box model of the TS-11 Iskra from Expert Set. Only resin Ejection seats were added. Bartek has used dedicated TS-11 camouflage color set from Hataka. 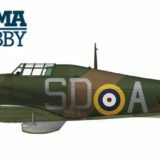 See photos of model built!